Our History begins in the year 1979, when their lived a genius called Bjarne Stroustrup, working hard for his PhD thesis. By this time he was a master of a language, used for simulation, and so called Simula. Simula 67, which Stroustrup worked with is also known to be the first language to support a very important feature of programming called Object Oriented Programming (OOP). The Problem he encountered with Simula was with its speed. It was too slow to be used for any practical purpose. 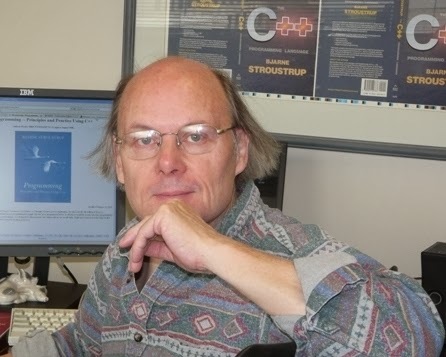 Stroustrup was a great supporter of the language 'C', which was raised by Dennis Ritchie in 1972. He began to work on a project which he called " C with Classes ". The main objective of his project to integrate the features of OOPs with C language. The first 'C with Classes' compiler was derived from C compile 'CPre' and was named as 'CFront'. It ﻿was programmed to translate a 'C with Classes' code to an ordinary 'C' language code. CFront left a legacy of 'C with Classes' and a way ahead of it was a long journey of development of many software. In 1993 it was abandoned because of the difficulties encountered while integrating it with new features of 'C with Classes'. In 1983 name of the language 'C with Classes' was changed to its current name 'C++'. Since the time C++ came into sight, it has always been a great choice for programmers to be used as a reliable, fast and secure language to develop software. This is how the glorious language, which we call C++, was born.